Mac possesses over Fifteen years’ experience in the national equipment rental, sales and sourcing industry. Mac managed the ordering, sourcing, and movement of equipment nationally to support multiple regional and national locations. Provided oversight and resource management of multiple large government facilities and contracts, which include Fort Hood, Fort Lewis, McChord Air Force Base, Puget Sound Naval Base, Bangor Sub Base, Yakima Training Center, Core of Engineers, Ft. Irwin, Camp Pendleton, Point Loma Sub Base, Idaho National Laboratories, Los Alamos, Savannah River Site, and the Hanford Reservation. Developed and initiated pre-delivery procedures and practices to minimize rejection rates of the On-site Inspection process for multiple sites including Hanford, Savannah River and others. Mac and his team have implemented and supported programs to fulfill customer expectations. 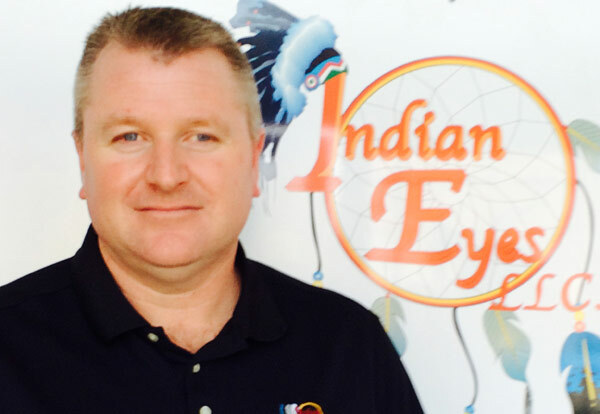 As Director of Equipment/Operations for Indian Eyes, Mac oversees all aspects of the equipment process, including personnel, billing, budgeting, prospecting, proposal writing, pricing, vendor/customer relations, operations and contract performance for nationwide division operations. He has an “A” team that follows him. Mr. Crass is a senior manager with over 35 years private and government sector experience in nuclear facility operations, construction, and environmental remediation. His work experience includes both domestic and international commercial nuclear facilities. Mr. Crass has managed multi-disciplinary teams for projects ranging from small-scale capital improvements to large complex remediation and construction in excess of $20M. He has worked directly at all levels with federal and state agencies and has acted as a technical liaison between US and international customers. His experience includes project and construction management, design engineering, prototype testing, new technology deployment, strategic planning, and baseline development for complex Department of Energy and commercial nuclear facility projects. Mr. Crass has facilitated independent reviews to evaluate first of a kind technology technologies, project and technical risk, conducted alternative analysis studies, and developed risk mitigation plans and strategies in support of Department of Energy and Hanford site sponsored technology development programs. In his role as Operations Manager, Mr. Crass oversees Indian Eyes Facilities and Infrastructure Division, construction projects, and day to day operations and management of the company. He has an “A” team that follows him. 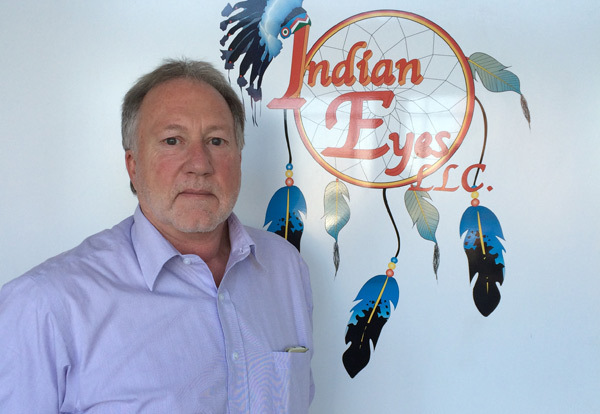 Mr. Burrie joined Indian Eyes after a successful 22-year career as Branch Manager of a major, national geotechnical engineering firm. 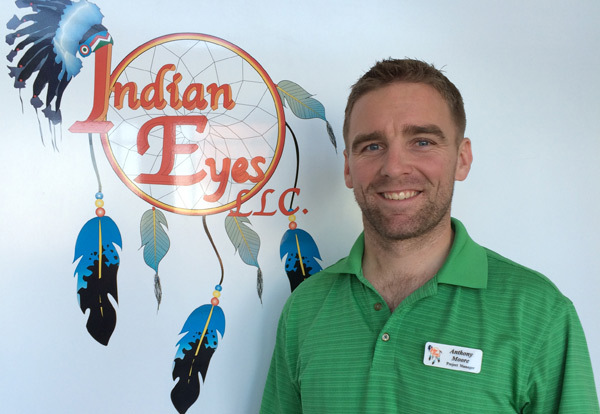 His responsibilities at Indian Eyes include leading the construction independent engineering group in providing services to energy-related and transportation projects across the United States. In this role he typically leads the scoping efforts, coordinates resources, and frequently serves as project engineer or manager. During his 42 years of professional practice, Dee has conducted and managed numerous geotechnical investigation studies and construction observation projects for renewable and conventional energy projects, commercial and industrial developments, transportation and municipal projects; managed site assessment and waste management projects; and served as design consultant and project manager on numerous water resource related projects throughout the interior northwest. His experience also includes serving as corporate Quality Assurance Officer; developing and managing a Quality Assurance Program based on ASME NQA-1; and developing and implementing numerous quality assurance project plans for nuclear and non-nuclear projects. He has an “A” team that follows him. Mr. Brubaker is a Certified Professional Contracts Manager and dedicated Project Management Professional, with over 30-years experience in contracts / procurement, project and program management, financial controls, and business development management. Solid background in management / administration of both commercial and government contracts with extensive experience with prime contractors for domestic and overseas projects supporting both DOE and DOD. Strong history of organizing / reorganizing company procurement groups to include implementing, upgrading, and maintaining of training requirements, policies, procedures and processes. Accustom to interfacing with corporate, senior, business and project management, customer/client management and government regulators, auditors and oversight personnel. Experienced in developing negotiation strategies for company business positions and formal contract negotiations. Extensive experience in negotiations of contract issues, contract scopes of work, change orders and costs, pricing and fee. Recognized as being an innovative thinker with the ability to provide workable, problem solving solutions. Self-motivated, able to see the broad picture and able to provide sound, applicable, long term solutions to complex issues. Adept at providing clear, supportable contract compliant interpretations. He has an “A” team that follows him. Anthony brings both integrity and many talents to our security division. He has an “A” team that follows him. Gabe is a member of the Nez Perce Tribe (Nimiipuu), where he was a Tribal Natural Resource Department Manager for 12 years, overseeing the Tribes’ Department of Energy Cooperative Agreement, Environmental Protection Agencies Direct Implementation Tribal Cooperative Agreements, Department of Homeland Security Grants and State of Idaho Homeland Security grants. Through the DOE Cooperative Agreement work, he was a strong leader representing the Tribe on the DOE Environmental Management (EM) State & Tribal Government Working Group (STGWG), Hanford Advisory Board (HAB), National Transportation Stakeholder Forum Tribal Caucus, and the Volpentest Hazardous Materials Management and Emergency Response (HAMMER) Training Center Steering Committee; advocating for cleanup at the nation’s Weapons Nuclear Complex, especially at Hanford. 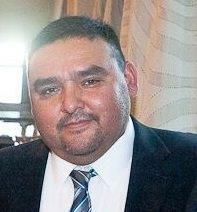 Gabe also served as the Idaho Tribal Representative on the EPA Region 10 Tribal Operations Committee (RTOC). In addition, he has been an advocate for Tribal Economic Development and strives to create opportunities in Federal contracting, as well as an advocate for STEM education in that development. He has an “A” team that follows him. 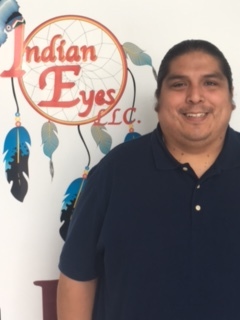 A member of the Rosebud Sioux Tribe (Sicangu Nation), Mr. Morrison possesses over 15 years of business development working in the Native American market. Tuffy has an extensive background in business development, technical assistance services, education and training in regards to federal, state, local and tribal government agencies. Tuffy has lead management teams servicing contracts for the United States Army Missile Defense Command operating out of the Red Stone Arsenal in Huntsville, Al. As CEO of a Tribal owned Development Corporation, he has a strong history in government contracts, procurement, project/business management and has served as member of board of directors managing over 250 million in ARRA projects located on reservations throughout the USA. He also managed business development in the Great Plains region for an investment group comprised of 63 tribal reserves from Canada. 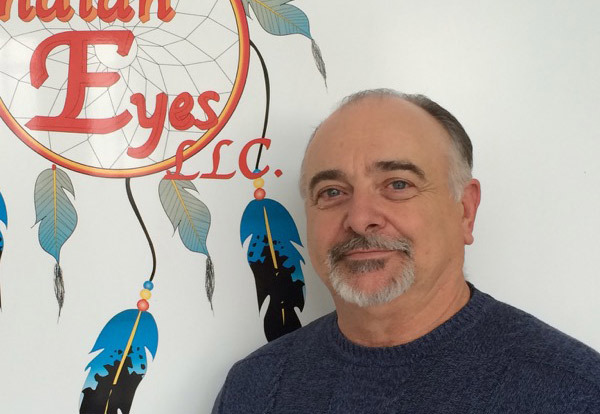 His resume includes experience in management and administration, marketing and business development, planning, construction management, project management, proposal writing and editing, personnel management, plus years of working to enhance the economy on his reservation. Tuffy has worked with many of the Native Tribes throughout the United States and Canada and places a high value on communication and supporting the long term social, economic and ecological health of tribal nations and their communities. 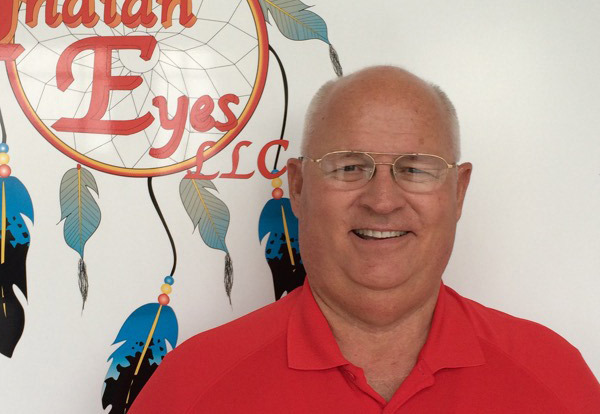 Mr. Morrison oversees all aspects of Indian Affairs for Indian Eyes. 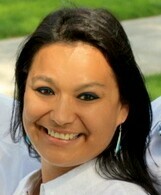 Mrs. Viola Buckenberger, Project Manager, Indian Eyes, a member of the Northern Cheyenne, Umatilla, and Yakima tribes has been directly involved with the B-Reactor Program since 2011 when she started working for the Manhattan B-Reactor Preservation Project as a Tour Receptionist. Over each successive tour season Viola’s roles and responsibilities have increased. Viola gladly stepped up and became the Tour Coordinator during the 2014 B-Reactor tour season. In that position Viola has been responsible for integrating and coordinating all tour logistics; B-Reactor website functions, special group tours, schools, and VIP tours. Viola has played an integral role in the B-Reactor Tour project for several years. She is a key member of the team and her motivated support(like all the other IE TEAM) is a big part of what makes Indian Eyes Team such a success. We are very happy to have Viola on our TEAM!